Many of the issues raised in this great article by Theodore Landsman & Manfred Frank De Martino are just as worthy of consideration by modern day psychology students. Currently in the field of psychology there has been seen an unprecedented growth in the undergraduate and graduate student bodies of our American universities. The more optimistic social scientists can view this influx as a healthy reaction of society to a strongly felt need. It presents a picture of society organizing to maintain itself against the growing threat of mental disease. Nevertheless, the need at the moment is so great as to far overtax the facilities of available applied psychologists. It is neither unusual nor unexpected to discover those who feel this need consulting not only the charlatan, see Steiner (3), but also the self-admitted semi-qualified. Nor is it unusual to find the professionally unqualified eager to render this immature service, operating under the delusion that some help is better than none. It is a strong and mature student who can resist this urge to advise and counter with a sympathetic referral to a qualified psychologist. For this reason, a word of caution should accompany each of those student-psychologists who will spend up to seven years in preparation for qualified entrance into the field. 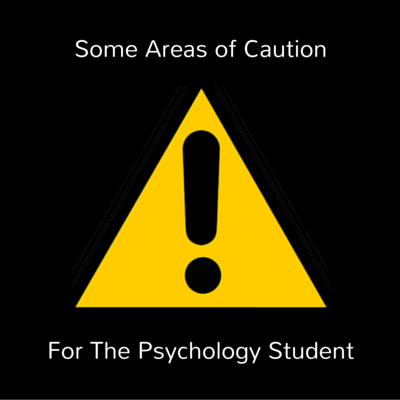 A student's acquaintance with the many tools and techniques of the psychologist brings with it the usually well-motivated if dangerous desire to wield the scalpel or test the new toy. Too few are aware that the tools of psychology in the unpracticed hand can do as great damage to the organism as the unskillfully applied surgical instrument. There are a number of areas in the field of applied psychology which have undue fascination for the student. These are the areas in which the greatest harm can be accomplished; these are the areas in which are hidden the pitfalls for the student and these are the areas wherein the integrity of the field will meet its test. Attention of the student should be directed to both the values of and dangers in the use of hypnosis, catharsis, diagnosis, advice, vocational guidance, test interpretation, and psychotherapy. Hypnosis. The use of caution should be emphasized particularly in connection with the practice of hypnosis. This phenomenon seems to attract the interest of a wide variety of individuals. One of the disturbing things about hypnosis is that only comparatively few individuals really understand its workings. Research (5) has demonstrated that if an individual consents and submits to being hypnotized and is a good (highly hypnotizable) subject, he cannot resist being put into a hypnotic state. After having been hypnotized a few times a good subject can be put into a deep hypnosis almost instantly. Once such a subject has been developed, besides being highly susceptible to hypnosis by the particular hypnotist and almost completely under his control while in hypnosis, he is also very easily hypnotized by other hypnotists. The only way the subject can be protected is by means of some special procedure. Just as recall of past events is possible under hypnosis, so are delusions, hallucinations, amnesia, analgesia, and certain forms of paralysis. In light of these facts it is apparent that a semi-scientific hypnotist could unknowingly do a great deal of harm to a good subject. Hypnosis is to be practiced judiciously, and only by those who fully understand its workings and serious ramifications. Catharsis. While there are many professionally trained who might condone the use of mental catharsis, by students, actually it contains a serious pitfall. To allow his classmate to pour out his griefs and pent-up feelings seems to be the least one can expect of a friend, psychology major or not. The pitfall is unmasked, however, at the close of the cathartic outpouring when the troubled friend concludes with this plea: "That's it. You are a psychology major, what should I do now." Responsibility for carrying out a therapeutic program is inevitably placed in the lap of the sympathetic friend who was under the impression that he was merely to be a listener. His classmate will not look to the psychology student as a mere sympathetic listener, but will request, almost demand, specific recommendations, therapeutic measures. As a corollary it must be recognized that in this seemingly innocent and useful service, mental catharsis, the psychology student, because of his field of interest, is obliged to do even less than that expected of a classmate. However, it is not to be expected that he should summarily reject nor ignore a friend in need; rather, his obligation both to his friends and his profession is to know the available psychological services, and to refer those in need to the appropriate service. Diagnosis and Giving Advice. Psychology students seem to find it difficult to resist diagnosing and labeling individuals with such terms as insecurity, inferiority, neurosis, phobia, and compulsive obsessive. Even assuming that the diagnosis is correct, it should be realized that the chances of harm being done to the individual far outweigh any possible benefits which might be derived from the diagnosis. Simply to tell an individual that he has inferiority feelings results in driving him further into his feelings of inferiority. To inform an individual that he is a compulsive obsessive in most instances tends to make him feel more ridiculous and neurotic. Diagnosis alone is of comparatively little value. What is greatly needed and desired is effective psychotherapy. The person with an emotional disturbance does not want to be "labeled," he wants to be helped. The giving of advice seems to be a practice of which most individuals feel quite capable. This is especially true in the cases of certain student psychologists. Some feel capable of handing out advice regardless of the seriousness or kind of problem. Quite often, unfortunately, a well meaning student gives out advice which has a deleterious effect on the recipient's personality. The giving of advice is dangerous for several reasons. For one thing the student analyst may not fully understand the dynamics of the situation and hence give the wrong advice. Also, the client may misinterpret the advice given and in his attempt to carry it out become more involved and confused. Finally, it should be pointed out that organic factors which probably the novice is totally unaware of could really be at the bottom of the disturbance. The student psychologist should remember that when he gives advice he is accepting a responsibility. In the event something goes wrong the recipient can come back with the statement, "You told me to do that." A good rule for the student of psychology to follow is: Never give advice. Test Interpretation and Vocational Guidance. The frequent complaint of thousands of college students who go through admission test batteries, that they seldom are informed of the results, is justified. Yet few of them are aware of the problems involved in a formal report of scores and standings to the student. While no information on the scores is of little value, some information (such as scores and norms alone) can be detrimental to adjustment possibilities and educational-vocational choices. Before interpreting a test score, the student can first ask himself these two questions: Do I know the standard deviation, reliability, validity, and other relevant statistics pertinent to this test? Secondly, can I explain these concepts to the testee? After these are satisfactorily answered, the student-interpreter can question whether or not the test is meaningful except in association with measures of the other components of social or vocational adequacy. Tests represent only one of the many tools and techniques of the vocational guidance counselor. In addition there are the interviews, protective devices, job and interest histories, subjective estimates of intelligence, personality, aptitudes, interests and achievements. To give either educational or vocational guidance, the counselor must be skilled not only in one or two of these tools, nor can he be merely familiar with them, but he must possess skill in the use of each. He must use judgment in the selection of the tools pertinent to the particular vocational or educational problem. Faulty guidance distorts the individual's own concept of his abilities and jeopardizes the possibilities for educational training and vocational success. Non-Directive Psychotherapy. Recently a great deal of attention has been focused on the various counseling techniques and other forms of psychotherapy, particularly non-directive methods. Nondirective techniques have been evaluated, praised, and criticized. The authors feel that while such criticisms are healthy, and should be encouraged, statements appear in them which often lead to unintended results. For instance, several criticisms of non-directive techniques have been made implying that these techniques are simple and easy and that almost anyone is capable of applying them successfully. Thome (4) states, "Non-directive methods are relatively simple to master, require little clinical experience with which to obtain results and involve relatively small dangers of worsening the patient's condition by inept bungling." The meaning of such a statement can be very easily misinterpreted, by the interested but uninformed beginning psychology student, to mean that practically anyone is capable of carrying on non-directive counseling effectively. Such an interpretation would not only be incorrect but dangerous. Bungled therapy can be as destructive to one's total personality as unskilled surgery. For most individuals a great deal of courage is necessary to consider going to a psychological counselor. This is due to the unfortunate stigma still attached to emotional problems. Even after making the decision, most clients approach the counseling situation reluctantly, with a highly skeptical and somewhat fearful attitude. Hence if a counselor does an incompetent job of counseling, the client may become dismayed, and antagonistic towards all psychotherapeutic techniques. In disguised pre-psychotic cases and in instances of severe neurosis, poor counseling may serve only to drive the individual further into his disorder, especially if he feels threatened. Unskilled responses on the part of the counselor result in confusion rather than clarification of feeling, and consequently hinder rather than aid therapy. The non-directive counselor's task is not simply to sit back and nod his head at various intervals. He must skillfully create a warm permissive atmosphere, accept both positive and negative feelings without moral judgment, clarify ambivalences and help the client get insight into his disturbances (1). Psychotherapy is not merely a technique, it is an art. A. H. Maslow, and B. Mittelman (2) state "Quack cures are at best often harmful and they delay proper treatment." It should be realized that attempts at counseling and psychotherapy by the untrained and unskilled like the factors previously mentioned can lead to a great disservice to both the client and the profession. Taking the individual as our frame of reference, there are a number of specific and general principles to which the student can look for guidance during his years of study toward preparation for one of the most challenging fields of science today. 1. Don't label individuals with psychological terms. 6. Don't attempt treatment of individuals. A. The responsibility and course of action of a psychology student with regard to classmates who approach him for psychological aid is different from that involved in a friend-to-friend relationship. His responsibility is greater in that his classmate anticipates (although erroneously) expert and proven treatment from his psychology student-friend while he anticipates only sympathetic response from a student-friend. B. The great majority of responses which the semitrained can give to those in need of psychological help, while they may temporarily reduce tension, will likely interfere with the normal drive toward a healthy adjustment by either reduction of the drive or misdirection of the drive. 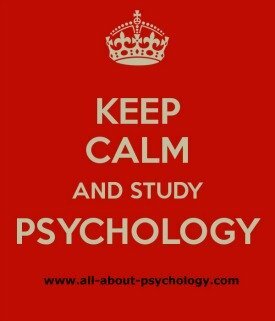 C. When entering into the study of psychology, the student should realize that he will be approached for help during his training. He assumes the responsibility of being aware of available resources for psychological services (such as student counselors, mental hygiene services, educational and vocational guidance counselors) and the responsibility of suggesting the proper resource to those who ask for aid. D. Early in the introductory courses in psychology, this information (the resources) should be made available to students. Therefore, psychology departments, their instructors and professors share this responsibility. 1. COMBS, A. W., Basic aspects of non-directive therapy, Amer. J. Orthopsychiat., 1946, 16, 589-604. 3. STEINER, LEE R., Where do people take their troubles?, Boston, Houghton Mifflin, 1945. 4. THORNE, F. C., A critique of non-directive methods of psychotherapy, J. abnorm.soc. Psychol, 1944,39,459-470. 5. WELLS, W. R., Ability to resist artificially induced dissociation, J. abnorm. soc. Psychol., 1940, 35, 261-272.